The only professional and the least intrusive and non-destructive method against bullion is the recognition of the content of other materials in gold bullion using technology that is owned by IGM or CABRHA team, Ltd. and also some western-European banks. These modern devices are able to identify quality and detect possible fake investment gold or other precious metal without causing any damage to the material. Thus, the investor gains control of purchased goods. Analysis price in gemmological laboratories is undoubtedly favourable compared to purchasing the fake bullion. Usually, fakes contain tungsten core, one or more of tungsten bars or ingots were made ​​of silver and then gold plated. Fakes were also found palladium ingots with replaced cores. 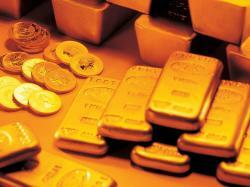 The investor is exposed to a potential risk of the investment in gold ingots imitation. Not only refineries in Austria and Germany have found recently these fakes, but also banks trading in gold investment have been affected in the past buying fakes. Identify whether the ingot contains tungsten without damaging ingot is impossible with conventional ways. It is difficult also with the spectrometer, which is able to identify other materials, but measures gold only to a depth of 0.3 mm and thereby cannot exclude the possibility of the tungsten at a greater depth. Another way to recognize fake is cutting or drilling bullion bricks in several places. This method is due to the melting of gold bullion destructive, time-consuming and damages the origin brand of gold. Also according to the specific weight cannot be determined whether it is a pure gold with potential tungsten content because of approximately same weight of tungsten and gold. In one kilo bricks can be found up to 2/3 of tungsten. Therefore is important for investor or small-scale savers these small or large bricks get professionally tested in mentioned specialized companies. For more information, please contact our gemmological laboratory CABRHA diamonds, +420 775 999 001, which will arrange the test of gold or other precious metal with non-destructive method, advise you or answer your questions.